Jeanne Davis Cutler, 92, passed away Sept. 1, 2018 at the Heritage Home in Preston, Idaho. She was born July 15, 1926 in Logan, Utah the daughter of Lloyd D. and Emma Farmer Davis. She grew up in Boise, Idaho. She married Orvid Ray Cutler Jr. on January 4, 1946 in the Logan Utah Temple. She was a member of the Church of Jesus Christ of Latter-day Saints. She enjoyed serving the Daughters of Utah Pioneers. 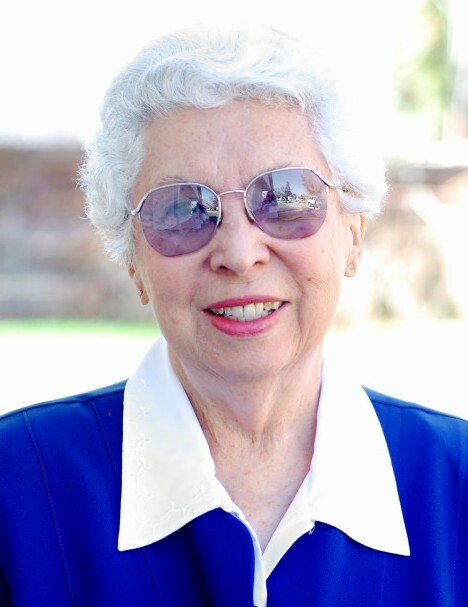 She and her husband also served as Directors of the Preston Family History Center. She was an excellent cook and she loved crocheting and knitting as well. She is survived by her husband, Orvid Ray Cutler, Jr. of Preston; by her two daughters, Susan (Don) Webster of Salem, Virginia; Becky (Steve) Wiser of Saratoga Springs, Utah; by five grandchildren, Justin (Alicia) Wiser of Smithfield, Utah; Brittney (Craig) Wachter of Saratoga Springs, Utah; Chelsey (Shelby) Comer of Kansas City, Missouri; Mandy (David) Dallas of Salem, Virginia; Chris (Terry) Morris of Milford, Kansas; by eleven great-grandchildren and by her brother, Lloyd (Judy) Davis of Orem, Utah. She was preceded in death by her parents and by a sister, Mardean Davis Twilegar.